Presentations are a great way to convey valuable and important information. Whether it’s for business, education, or marketing purposes, you have to create interesting, informative and engaging presentation slides. It’s most often done on a desktop or smartphone, but you can also create it using web technology. In this post, I will introduce you to Reveal.js, a framework for beautiful HTML presentations made easy. 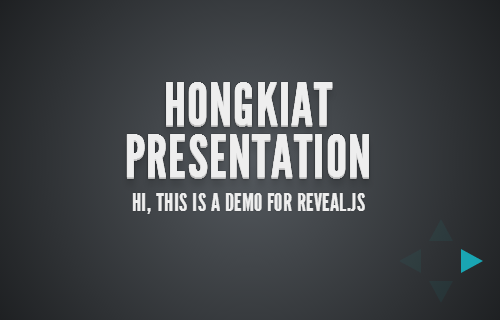 Reveal.js is a very powerful framework for creating HTML presentations, as it has so many advanced features. With Reveal.js, you can create a presentation which supports mobile gestures, such as pinch and slide. You can also create the presentation content with markdown, or with visual editors like Slides, if you don’t want to dirty your hands with code. It even equips you with some beautiful transitions and themes and comes with a multitude of other features to help you out. In this guide, let’s assume that we’ll create three basic slides using some HTML codes. There are three main elements for creating the presentation slides. They are: <div class="reveal">, <div class="slides"> and <section>. In the first slide, we’ll put the intro. 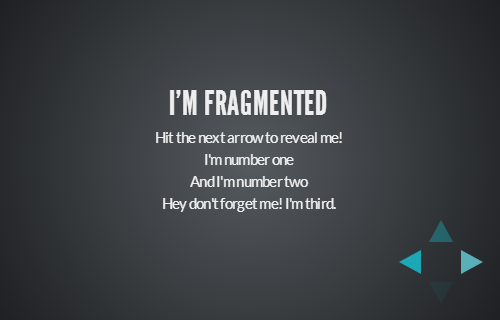 Fragmented views will go in the second and this will finally be followed by a punchline slide with a quote and internal link inside. Those are the basic configurations that we need for basic implementation. A full list of configurations and other advance settings like markdown, notes, auto-sliding and more can be found here. 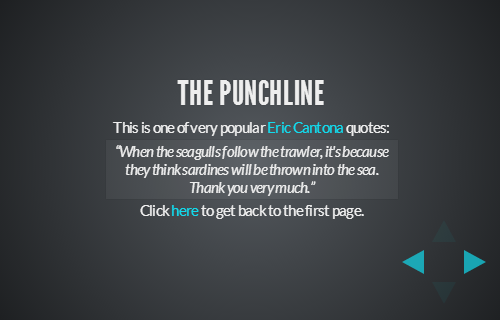 With this tool, you can create a great HTML presentation within your site. You can find some examples for inspiration here. Compared to other impressive presentation libraries, like Impress.js which focuses on its wonderful transition animation, Reveal in my opinion is still way more powerful in terms of features.